Among the thousands of people buried in a centuries-old Jewish cemetery in the Caribbean are men and women whose relatives would go on to establish some of the first synagogues in the US — in Rhode Island, New York and the US Virgin Islands. But their names may soon be lost to history. Just over the walls of Beth Haim in Curaçao — believed to be the oldest Jewish cemetery in the Western Hemisphere — is a comparatively modern oil refinery that’s been belching fumes for the better part of the past century. Curaçao’s Jewish leaders say the pollution has slowly degraded the unique, intricately carved tombstones that chronicled the earliest days of Jewish settlement in the New World on this Dutch island in the southern Caribbean, off the coast of Venezuela. Gone, too, are the names of the people they’re meant to commemorate. 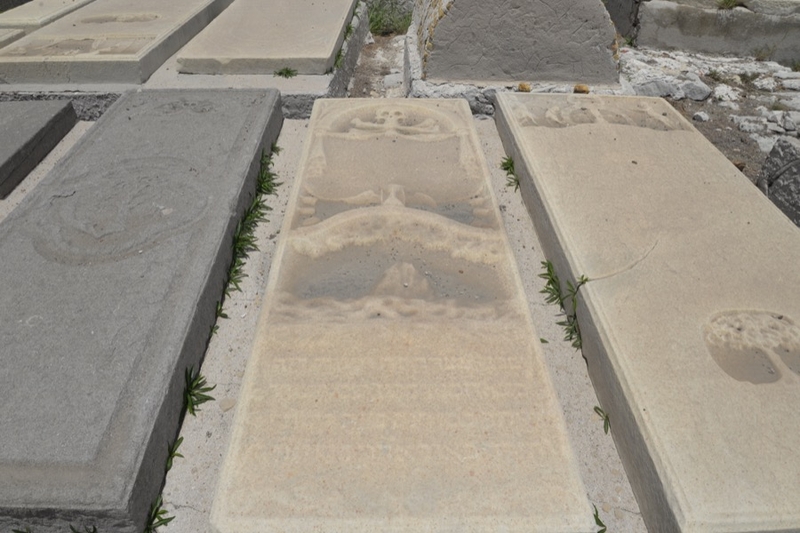 Founded in 1659, the cemetery’s tombstones were works of art. Some were ordained with religious imagery, often telling biblical stories. Today, many of the flat, table-shaped tombstones are so worn it appears nothing was ever carved there at all. White marble has turned yellow. Some Hebrew or Portuguese may be faintly visible, as well the occasional palm tree or skull and crossbones. 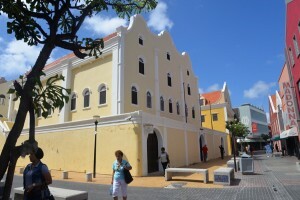 Portuguese-speaking Sephardic Jewish settlers first arrived in Curaçao in 1651 from the Netherlands, which had given sanctuary to Jews fleeing the expulsion of non-Catholics from Iberia. The community would grow, peaking at several thousand members — more than half of the island’s population of European descent — in the 18th century. Their synagogue in Willemstad’s colonial city center, Mikve Israel-Emanuel, is one of the oldest in-use synagogues in the Western Hemisphere. In the early 20th century, oil was discovered off the coast of Venezuela. Dutch oil company Shell set up a refinery in Curaçao in 1915, fueling the Allied war efforts in both World War I and World War II. The refinery continued to operate for decades until Shell pulled out of Curaçao in 1985. Today, the island’s government has leased the facility to Petróleos de Venezuela, SA, Venezuela's state-owned oil company. Beth Haim accepted its last burials in the mid-20th century. By then, the community had opened a new cemetery far away from the refinery complex, opting to bury their dead in a place where the air did not burn the eyes and noses of the living. 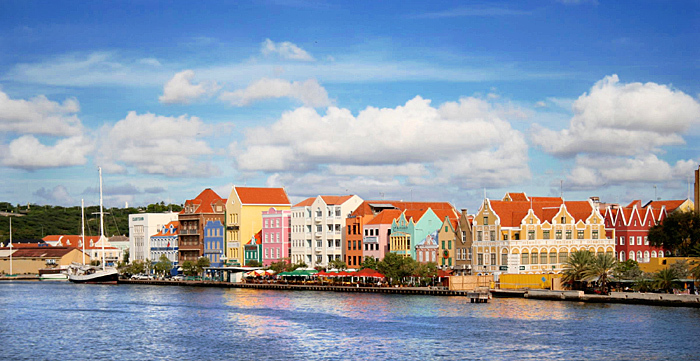 Portuguese-speaking Sephardic Jewish settlers first arrived in Curaçao in 1651 from the Netherlands. Of the approximately 5,000 graves at Beth Haim, half have visible tombstones. Of that half, Maduro generously estimates that 100 are legible. The cemetery — its grounds littered with coral fragments bleached white by the sun — sits in the shadow of the oil refinery. Towering smokestacks and burning flares are a stone’s throw away from the crowded rows of graves. Air monitoring near the refinery has routinely found elevated levels of harmful particulate matter and sulfur dioxide. Sulfur dioxide in the atmosphere can mix with water and become acid rain. “The refinery never, ever admitted any culpability for the destruction of the cemetery,” Maduro said. Over the years, a collection of researchers and scientists — some with ties to Curaçao Jewry, others without — have tried to salvage the remaining tombstones by applying resins and chemical preservatives. Most of the tombstones have been eroded beyond recognition. Time and time again, those efforts have failed. Myrna Moreno, the curator of the Jewish Cultural Historical Museum in Willemstad, recalled one local man, a chemist, who applied a protective coating to several tombstones. “He went there after two months, and it was all damaged again,” she recalled. Though the oil refinery’s lease is up for renewal in 2019, Maduro — who served 40 years on Mikve Israel-Emanuel’s board, 25 as president — said it is too late to save the old cemetery. “It’s gone,” he states matter-of-factly.